List of Medical Colleges in Bihar, Top Best Medical Colleges Bihar, Courses. All states in India need to have their own supply of medical personnel. To have a steady supply of new medical practitioner medical colleges must be there. Medical Colleges in Bihar is there to do exactly that for the state of Bihar. Almost all the major cities have their fair share of Medical Colleges in Bihar. Medical Colleges in Bihar have always been at par with the rest of the nation. The Medical Colleges in Bihar are either private colleges or government colleges. The government Medical Colleges in Bihar have been there much before the private colleges. Different Medical Colleges in Bihar are affiliated under different universities although the curriculum is somewhat the same in all the Medical Colleges in Bihar. To be able to even sit for the entrance examinations to the Medical Colleges in Bihar one must have passed their 10+2 board examinations. Post completion of school education one can sit for a seriese of entrance examinations which may ensure entrance to any of the Medical Colleges in Bihar. Bihar is a highly populated state. A large part of the population is illiterate hence they are not capable of understanding the importance of medicine. The use of Medical Colleges in Bihar is to foremost educate the masses of the importance of medical assistance. The enormous population also requires a large number of medical personnel to take care of health care. Medical Colleges in Bihar keeps up the steady supply of medical personnel. Medical Colleges in Bihar also prevents aspiring students from leaving the state in search of better education. Some of the Medical Colleges in Bihar also provides clinical assistance to a majority of the population. As we know an M.B.B.S is a professional course. So after passing out from any of the Medical Colleges in Bihar you can easily start off as an intern at any of India’s reputed hospitals. If you decide to pursue higher education then the scope is endless. 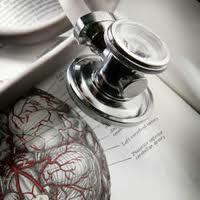 Medical Colleges in Bihar can provide you with the foundation to your career in medicine.